The main camera compartment holds a Pro DSLR with battery grip attached and up to a 70-200mm lens attached, positioned for quick grip access. 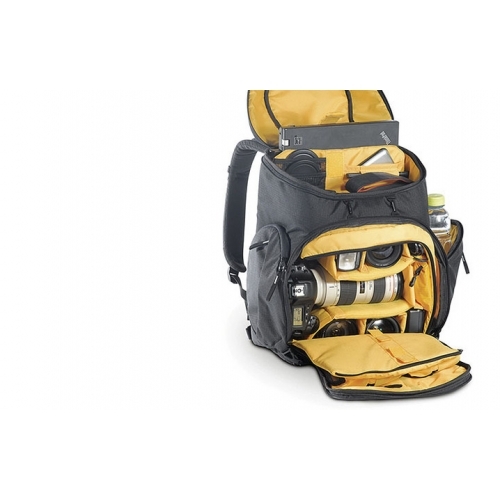 Use the Aeriform dividers to arrange compartments for up to 6 additional lenses + flash + accessories.Carry your water bottle in the large side pocket or with in the fold-out mesh pocket. 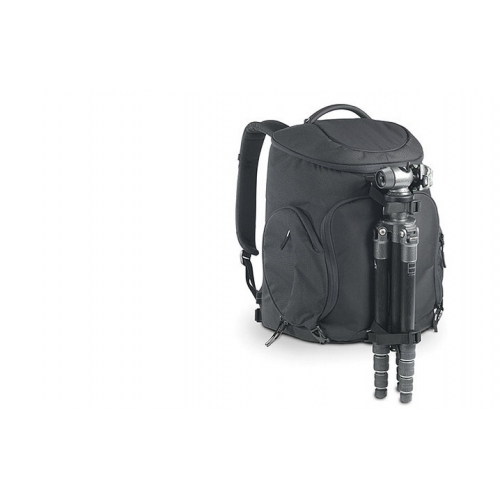 The unique quick draw capability lets you effortlessly access your gear by swinging the bag to your front. No need to take off the bag! 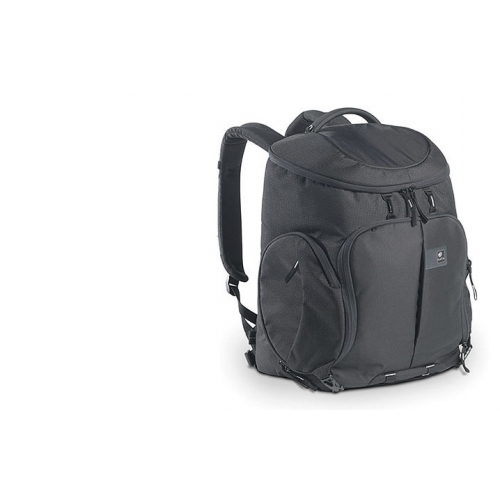 A 15.4inch laptop snuggly fits in a designated rear compartment which is accessed via the top personal effects section.The upper compartment is designated for carrying personal gear with organizer pockets to keep all your accessories neat. 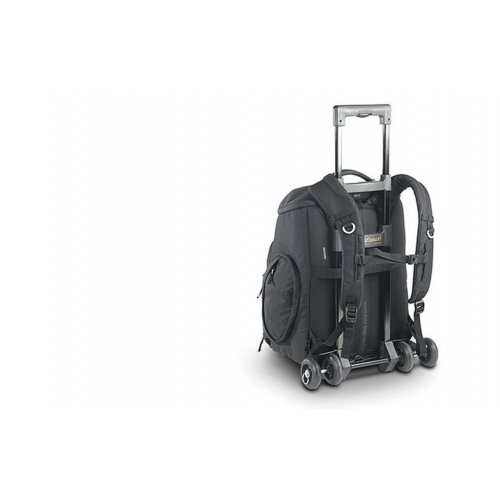 Use the provided tripod connecting straps to carry a field tripod on the front of the backpack to enjoy the best balance and weight distribution. Install the provided Rain Cover to protect your bag and gear in rainy and dusty situations.